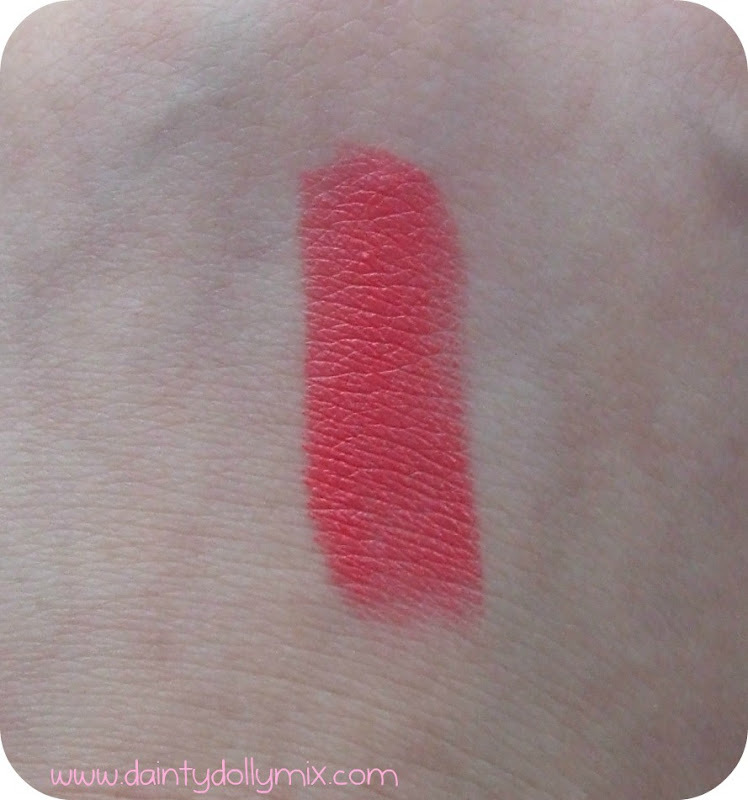 One of the lipsticks i ordered was 'Watch me simmer' described as bright pink-orange which i wouldn't really agree with as on myself it is more of a reddened pink with a slight hint of orange. I believe that this is one of those shades that looks different on everyone. 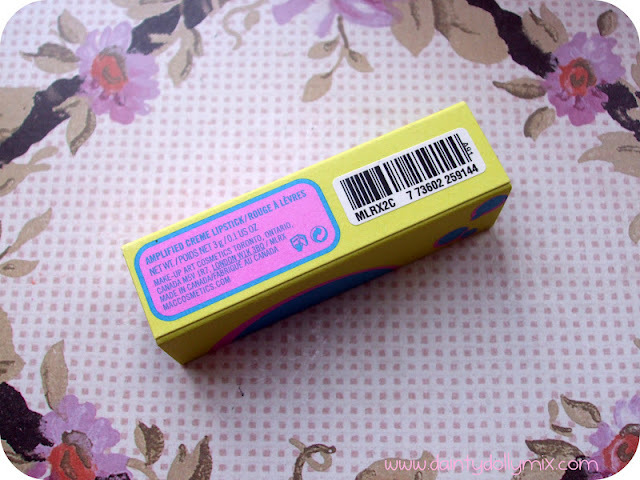 It has a amplified creme finish, so it is in-your-face bright and opaque in one swipe. 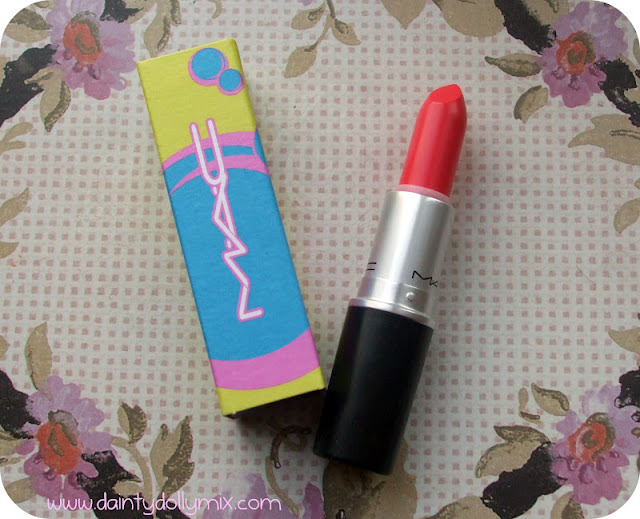 It is really creamy and It is an extremely bright shade and not for the faint hearted, i think this is even too bright for my taste and not sure i can see myself wearing this often. 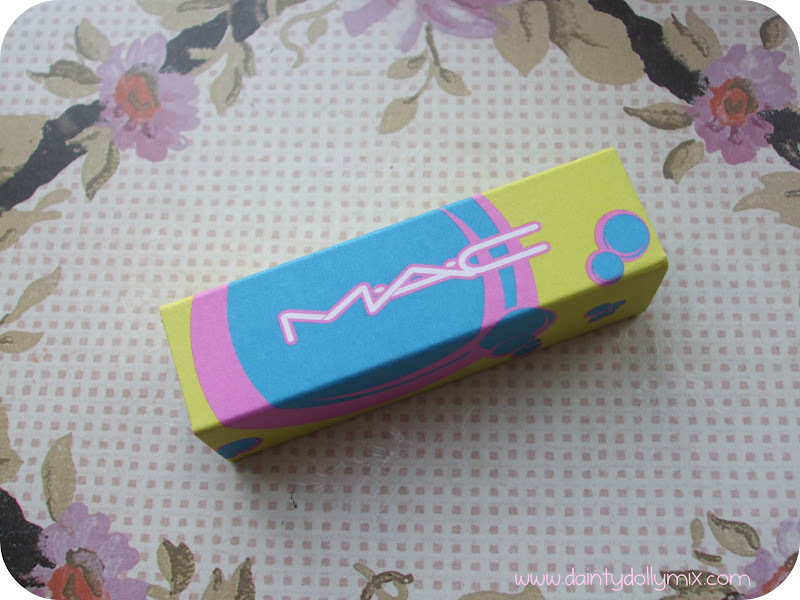 It comes in the standard MAC black bullet and black box, but has a pink, yellow and blue patterned box cover that makes it that little bit different. 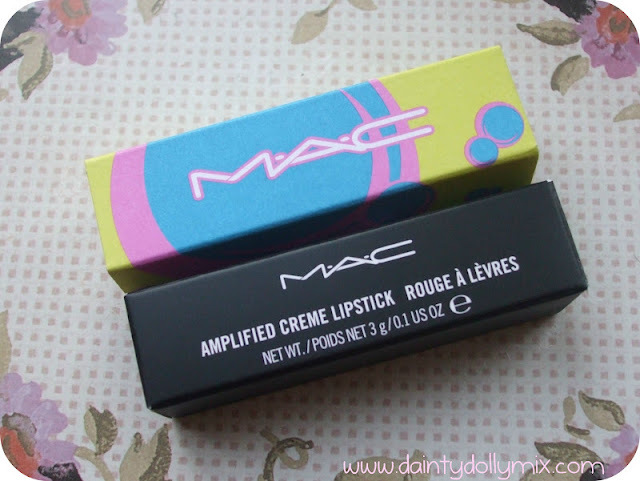 The Shop MAC, Cook MAC has some gorgeous products and colours in the range but just a little bit too bright for my liking. 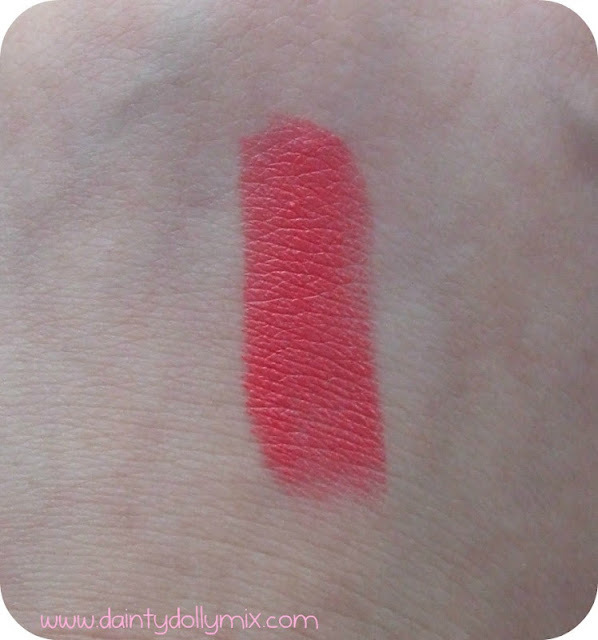 Make Me Simmer is still available to buy now from the MAC Website for £13.50. 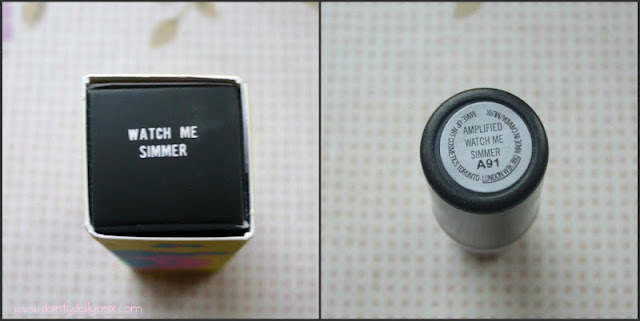 I will show you the other lipstick i ordered in another post! I want this lippy too - can't decide between this and the new Nicki Minaj, might get both he he! 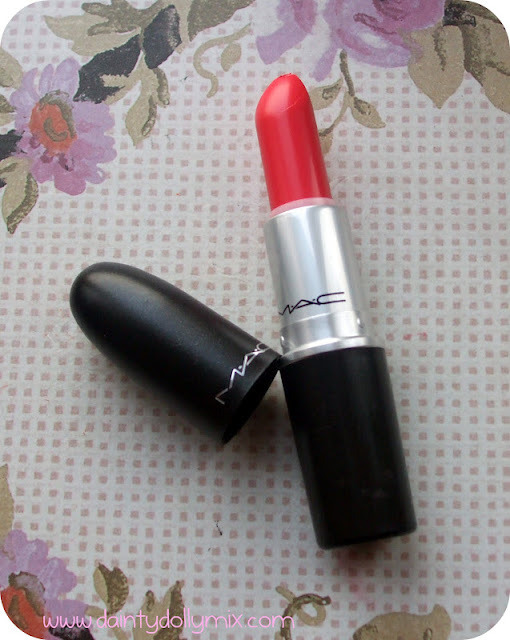 I love this shade and it looks lovely on you. I missed out on it, gutted. I have this, I LOVE it! Oh gosh, what a lovely colour! 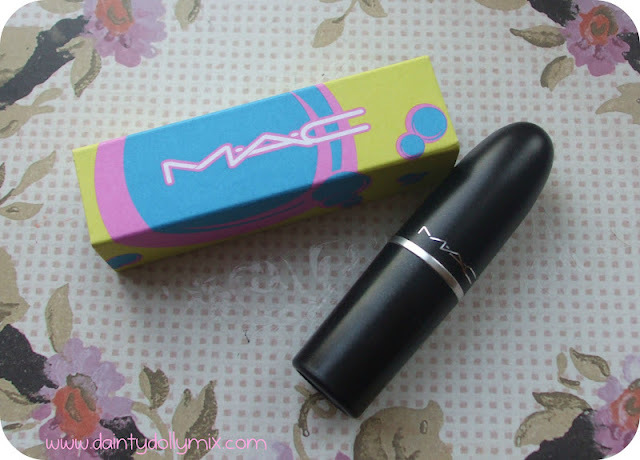 its a rly pretty colour, and i think it looks rly good on you! I got it and love it! It's amazing! I really like this! Looks like it gives a great 'bitten' look. I have seen this shade on a few blogs now and I am really loveing the colour! Think I am going to try and pick it up next week.